In the days and months following the September 11 terrorist attacks, homes, buildings, and flag poles across the country were draped in the red, white, and blue. The flags were a symbol of mourning, of patriotism and pride, and of national solidarity. 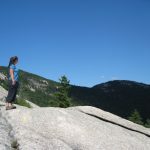 But for a handful of New Hampshire hikers, it wasn’t enough. 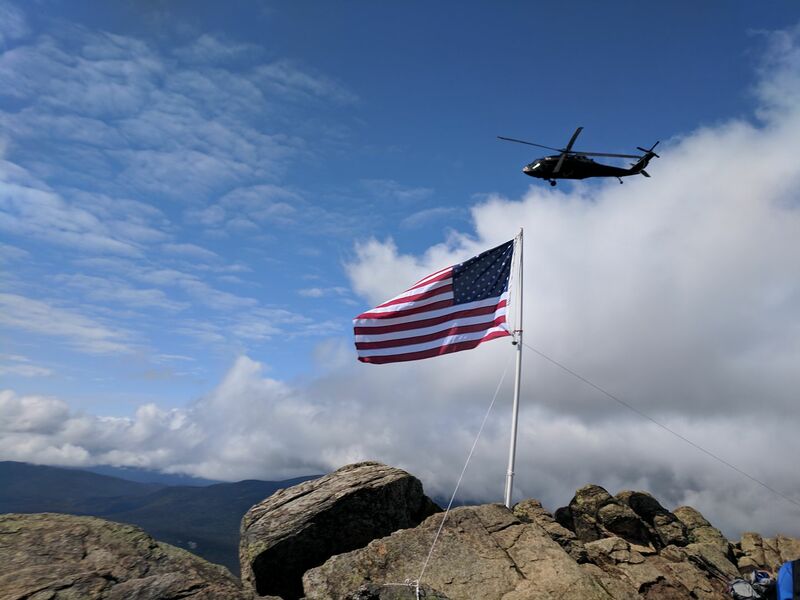 With 48 grand, rocky 4,000-plus foot summits dotting the landscape surrounding them, there was no place more fitting to come together and fly the flag. 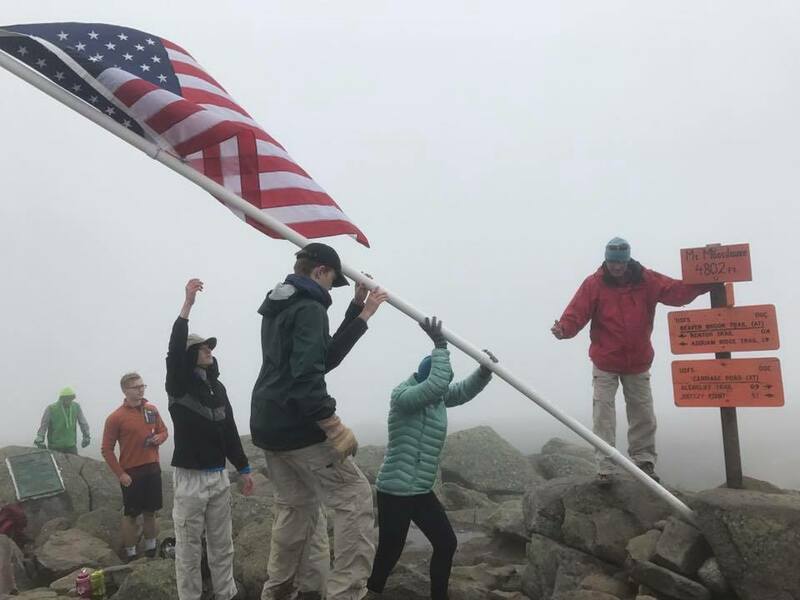 Sixteen years later, the tradition lives on, partly through the leadership of hikers like Chris Oberg, an organizer of Flags on the 48. We sat down with Oberg to talk about the powerful initiative he is a part of. goEast: So what is “Flags on the 48” and how did it get going? 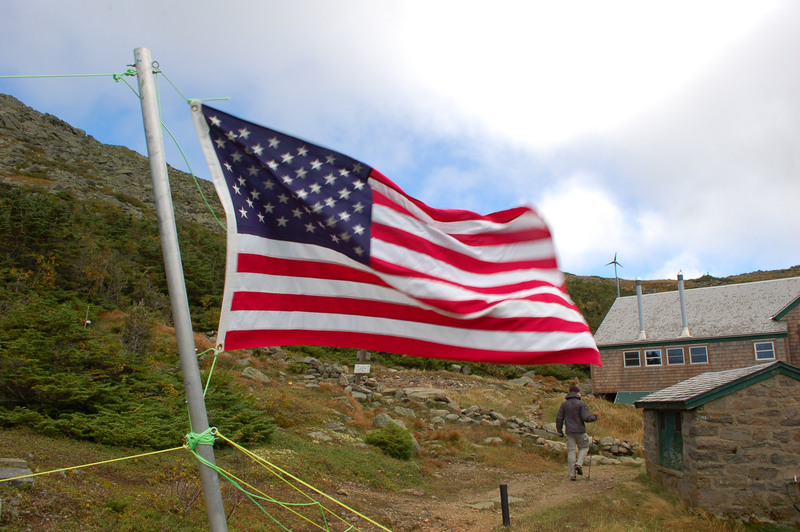 Now, Flags on the 48 is a memorial event that we do annually on the 48 4,000-footers in New Hampshire. We do it to recognize and memorialize the folks who lost their lives on 9/11, and all of the responders who helped out in a time of need. It’s basically just a way for us to try not to forget what happened that day, and to pay tribute to those folks who were impacted by responding, or by losing a loved one, friend, or acquaintance. 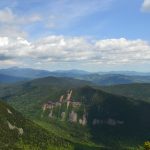 We’re just a bunch of people who like to get out into the woods and thought it would be a pretty cool way to pay tribute by hiking to the summits—which are pretty amazing places—and to put flags up. It’s a cool sight to see a big American flag (and many other types of flags), flying at the summit of a mountain with so many amazing views. goEast: When is the event, and how do folks learn about it? 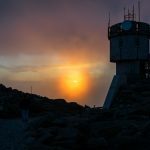 Chris: We hike on the Saturday closest to 9/11—unless 9/11 falls on a Sunday like it did in 2016. Essentially, we just let word of mouth get out about the event. 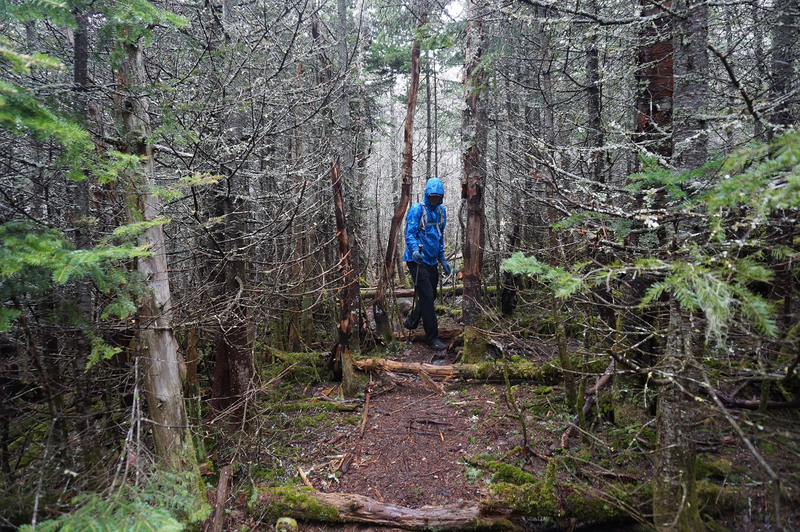 And in the past, people very often were actually hiking on the day that the event was held. They might’ve just stumbled across somebody who was hiking up, or maybe happened to arrive at the summit while the flag was flying and just said ‘Wow, that’s really cool. I’d like to do that.’ So they go to our website and check it out. goEast: How many flags are flown? Is there one for each summit? 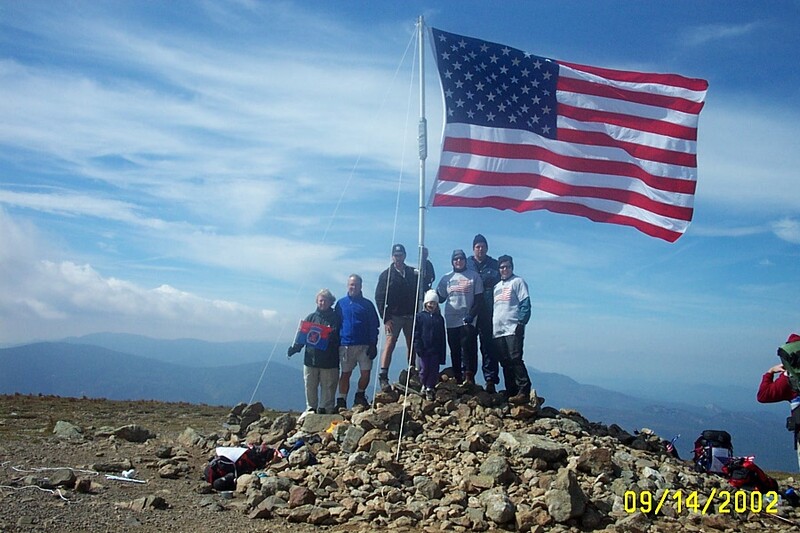 Chris: We do at least one American flag at each summit of all 48, and then we also highly encourage people to bring whatever flags they would like to fly. There are a bunch of POW/MIA flags that get flown, some people bring prayer flags like you see in Nepal. I once invited a guy who was working with me from Brazil, so we flew the Brazilian flag along with the American flag. There are all kinds of people who will come up with lots of different ways to bring attention to the event, and fly different flags—each one meaning something different to each of them. For each peak, we only allow 10 registrations. We don’t want to have this massive group of like 50 people hiking together and plowing through the wilderness. But at the same time, we don’t ever tell people well, don’t participate, don’t go, because we can split up the team into a variety of different groups. goEast: I would imagine that this is a really powerful experience for a lot of reasons and evokes a lot emotions in all the participants. Chris: I’ve personally met with people who have lost spouses. There was one guy who drove up from New York because he watched live as the towers fell. He was in Manhattan watching these buildings crumble. And he said it was just indescribable, that there’s nothing that could ever prepare you to see that kind of an event. It’s not something you’ll ever forget. I appreciate hearing stories like that. I don’t necessarily enjoy it, but I do appreciate that people think about what we’re doing and they aknowledge what we’re doing and support it, through their thoughts, actions, posts on message boards, etc. You’re doing this thing that you feel passionately about and you really care about the folks that were involved and then somebody says “Hey you know what, I think you’re doing the right thing, and I really appreciate that you guys do this.” That keeps us going for sure. 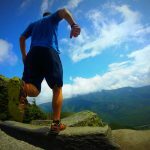 Luke Kelly is a writer and landscape photographer from Red Hook, NY. 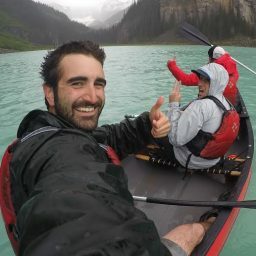 He says he’s a traveler first, having spent four summers working as a fisherman in Alaska to fund his adventures across the globe. 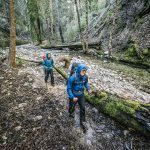 His main goal is to inspire people to get outside, be active, and to explore new places. When he’s not out taking pictures, Luke can usually be found on his paddleboard, road bike, or skis depending on the season. You can follow his trips on Instagram @lukekellytravels.